You successfully purchased, downloaded and opened your Jalie PDF pattern in Adobe Reader . You are now ready to print and assemble it. You can also download our PDF printing instructions for future reference (the guide includes instructions for layered PDFs). 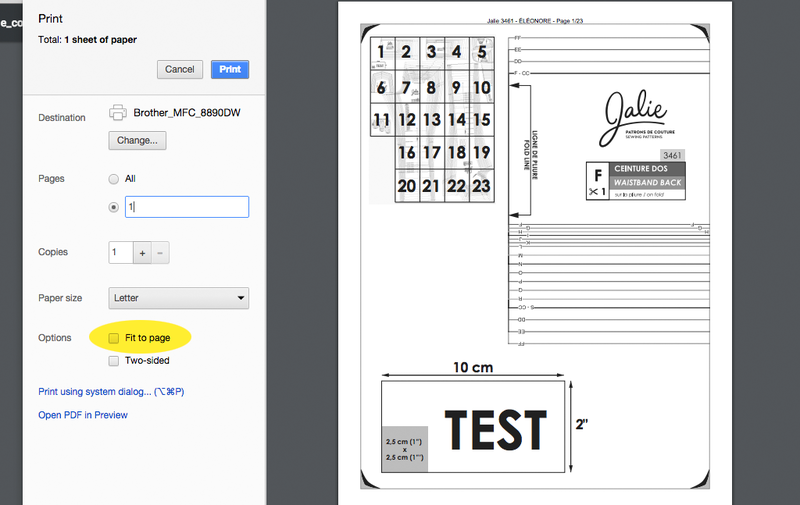 Locate the page where you see a TEST rectangle. If your pattern is layered (the information in included in the instructions when they are), hide the layers you do not wish to print, to print your size only. 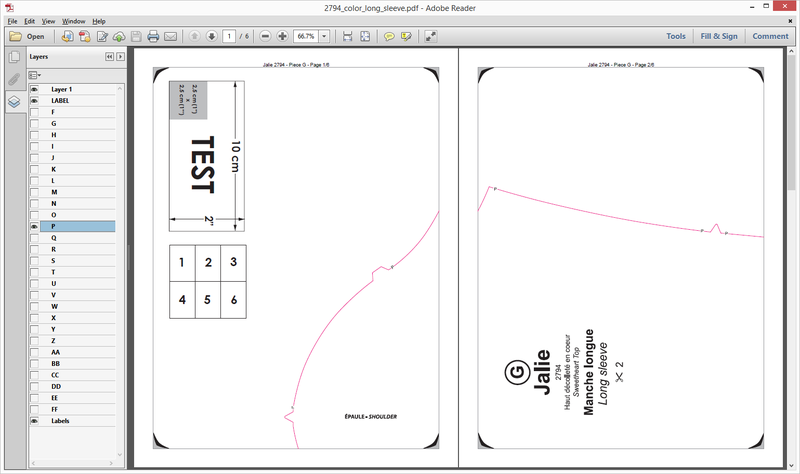 On each page, you will see a border with thick corners. That is the edge of your pattern TILE (which is 7 1/2'' x 10'' in order to print on both Letter and A4 paper). A diagram on one of the first pages shows you how to position each tile. Once your pattern is assembled, you can trace or cut it. Remember that you can print your PDF sewing pattern as many times as you need, once it is saved to your computer. If you reached the download limit because you forgot to save / had trouble downloading / hit the button too many times because of slow connection, do not hesitate to contact us.